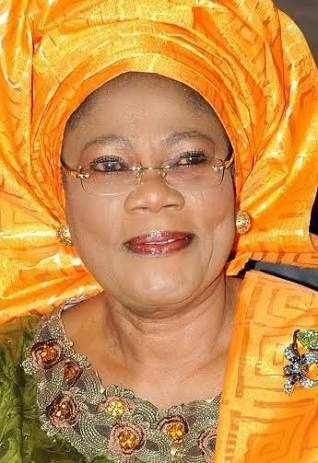 The Deputy Governor of Osun state, Mrs. Grace Titi Laoye-Tomori has denied speculation that she had dumped the All Progressives Congress in the state. She described as untrue, baseless and unfounded the information being circulated on the social media saying it was the antics of "some misguided elements" in the state to cause confusion. Tomori maintained that there was never a time she thought of quitting her membership of APC for the Action Democratic Party (ADP). In a statement made available to newsmen and obtained by Amiloaded, the Deputy Governor said such information is a ruse which is the figment of the imagination of some "political detractors and jobbers in the state aimed at causing confusion within the political space." She therefore urged members of the public to discountenance such rumour in its entirety. According to her, she remains firm, supportive and committed to the leadership of her principal, Governor Rauf Aregbesola. The deputy governor said Aregbesola had made indelible mark in providing a solid foundation for good governance in the state through functional people oriented programmes and policies.